Let's face it, finding the hot topics for writing projects is the bottleneck for success. Curation engines help you find the winners, but the methods and strategies for repurposing content are largely guesswork. Until now. 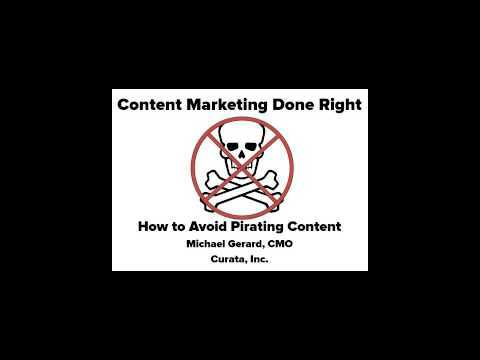 Host Byron White and guest Michael Gerard, CMO of Curata, will show you how to put curated content to work the right way, with a careful balance of sourcing, enhancing and bettering so it engages readers and keeps them coming back for more.